There are 967 districts, 3,714 public schools, and 355 charter schools in Ohio serving 1,740,030 students. 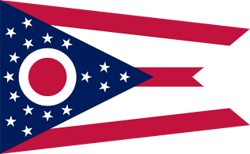 Financially the state of Ohio spends approximately $13,096 per student. There are 107,972 full-time teachers receiving a total of $7,419,241,953 in salaries and $2,578,234,286 in total benefits. 654,533 students receive a free lunch and 103,573 receive a reduced-price lunch.